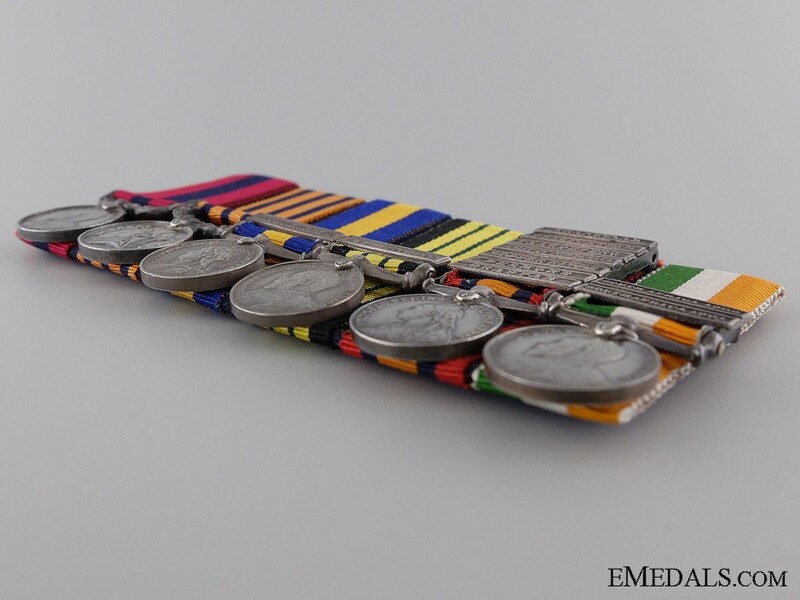 A Miniature South African Service DCM Group - Distinguished Conduct Medal (silver, 17.8 mm); British South Africa Company's Medal (silver, 17.8 mm); Cape of Good Hope General Service Medal, 1 Clasp - BECHUANALAND (silver, 17.7 mm); Africa General Service Medal 1902-1956, 1 Clasp - B.C.A. 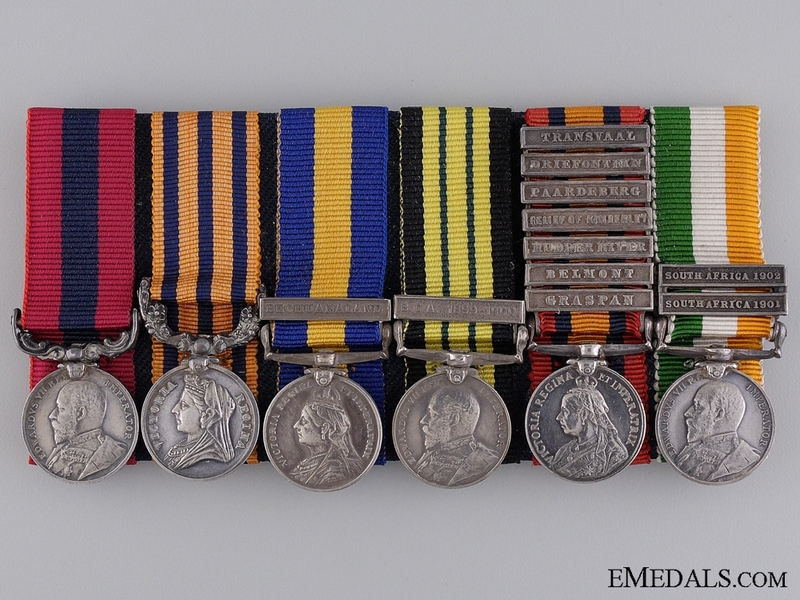 1899-1900 (silver, 17.6 mm); Queen's South Africa Medal, 7 Clasps - GRASPAN, BELMONT, MODDER RIVER, RELIEF OF KIMBERLEY, PAARDEBERG, DRIEFONTEIN, TRANSVAAL (silver, 17.7 mm); and King's South Africa Medal, 2 Clasps - SOUTH AFRICA 1901, SOUTH AFRICA 1902 (silver, 17.6 mm). Very crisp detail, court-mounted, light contact, near extremely fine. 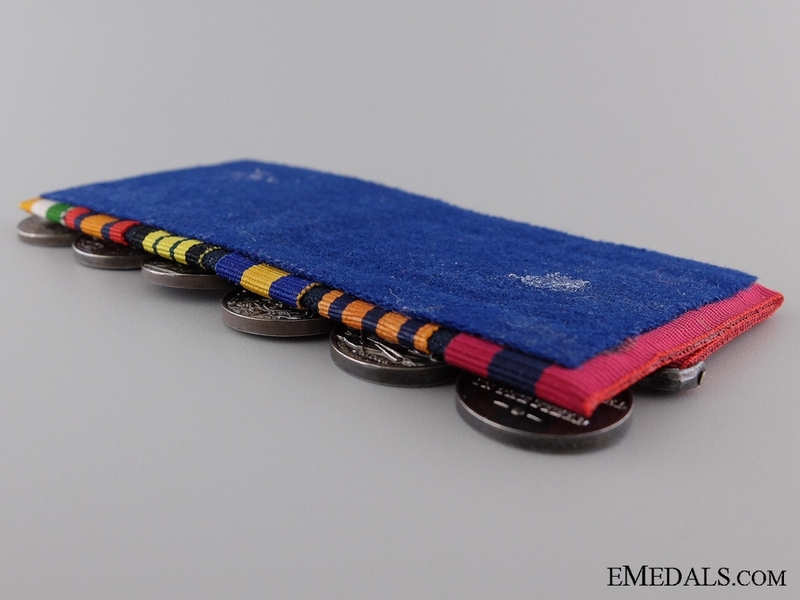 Footnote: Group is attributable to Sergeant-Major G.P. 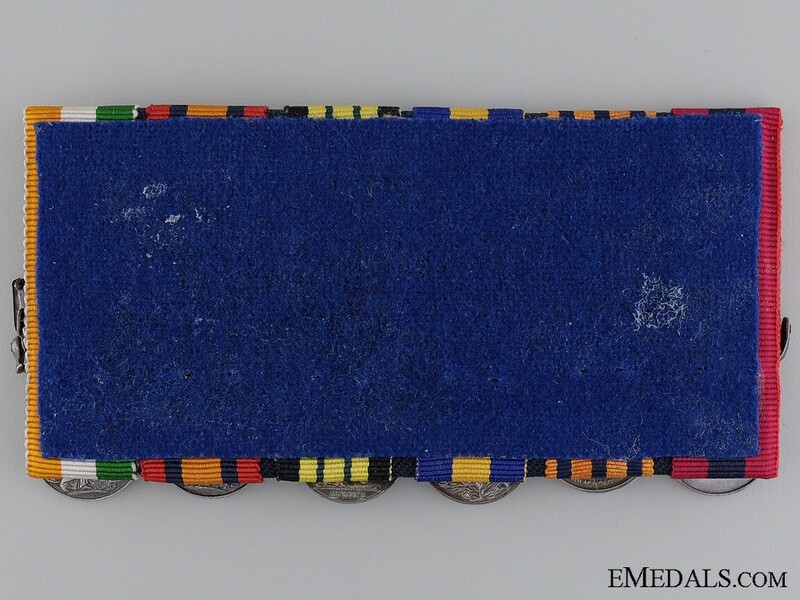 Roberts was awarded the Edward VII Distinguished Conduct Medal, the second highest award for gallantry in action, for all Army ranks below Commissioned Officers. He was cited for his DCM in the London Gazette on September 27, 1901 for gallantry in action during the Boer War.